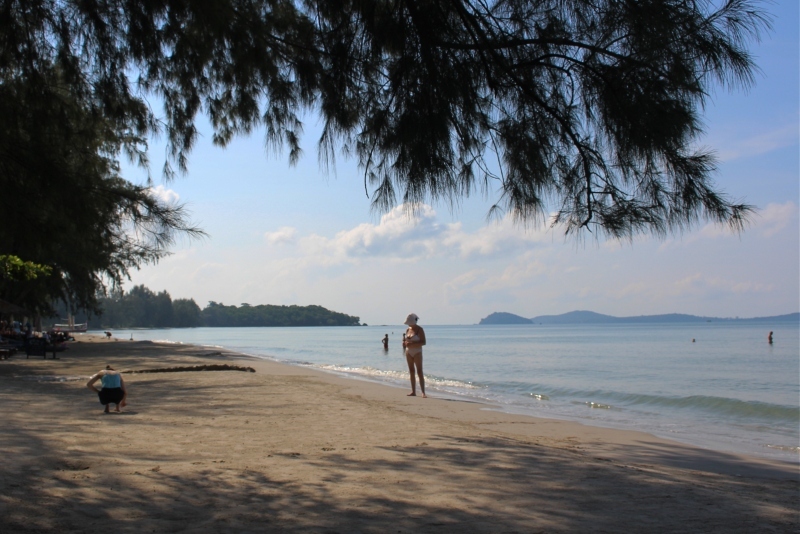 » Should you visit Sihanoukville? 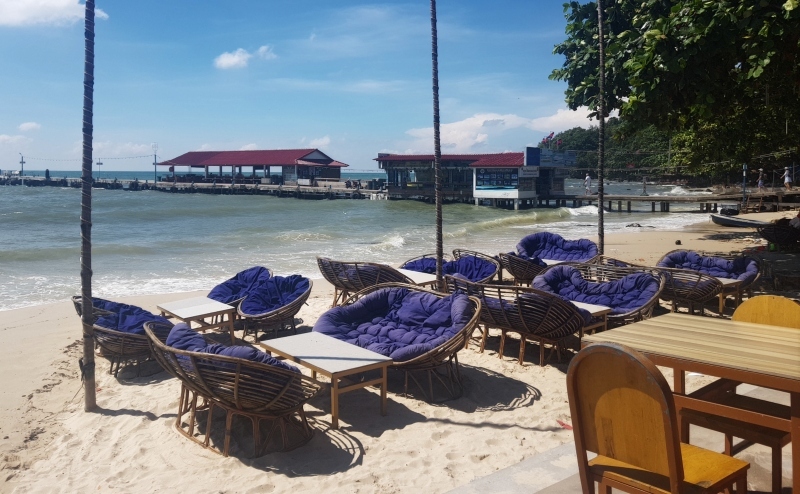 Sihanoukville on the Gulf of Thailand is known for Cambodia’s most beautiful beaches; however, in recent years it has made headlines for developing a bit of a sleazy party scene and for the ever-increasing numbers of foreign-owned casinos being built on the waterfront. 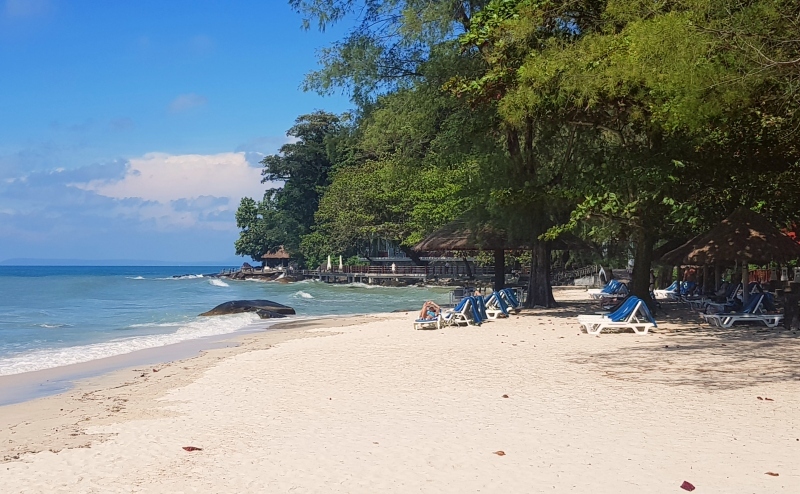 These conflicting views leave many people, including us, wondering if Sihanoukville is a good addition to your itinerary. Read on and find out what we discovered. 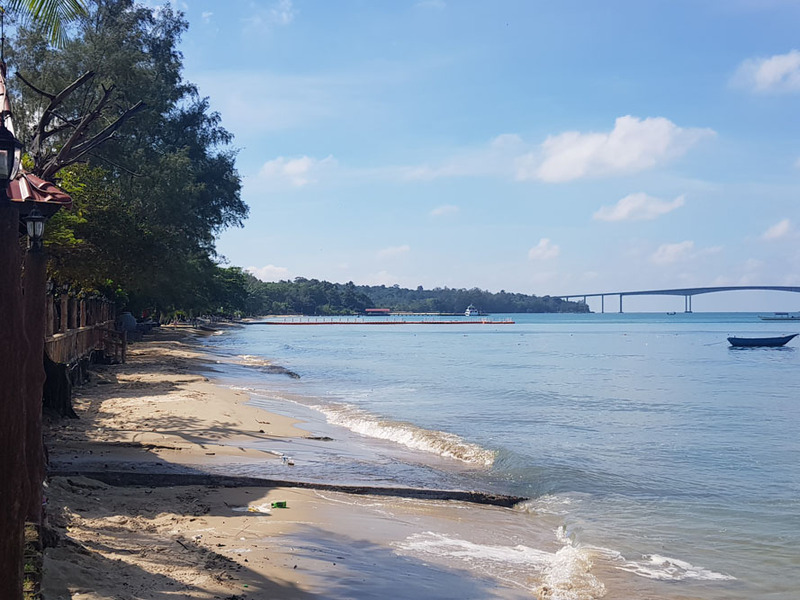 Sihanoukville (pronounced see-a-nouk-ville) is the name given to the stretch of coastline in the south of Cambodia that faces the Gulf of Thailand. This sleepy area grew into a city in the 1950s after a deepwater port to open Cambodia to international trade. Today it’s the third largest city in the county and is as famous for tourism as it is for shipping. 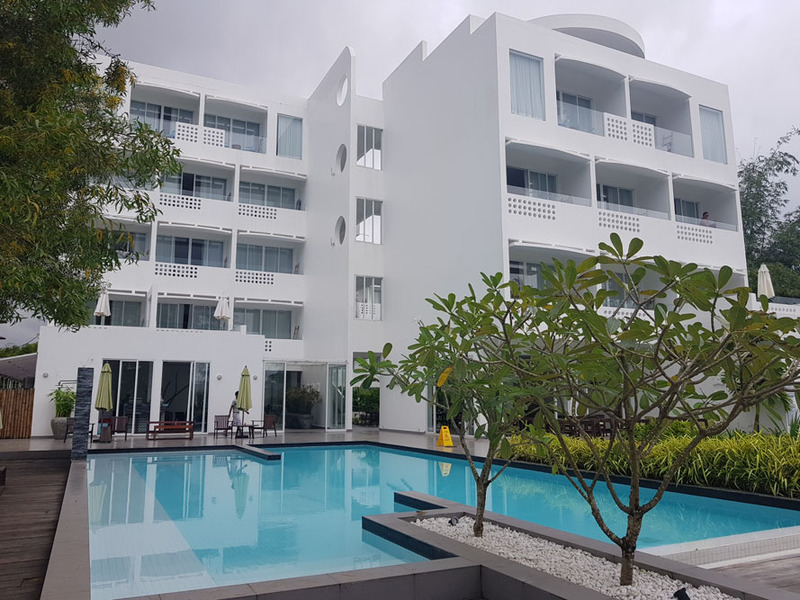 The area has no doubt changed dramatically over recent years and development is rapid however there in our view there is still good reason to include the area on your Cambodia holiday provided you choose the part of the city you stay in carefully. 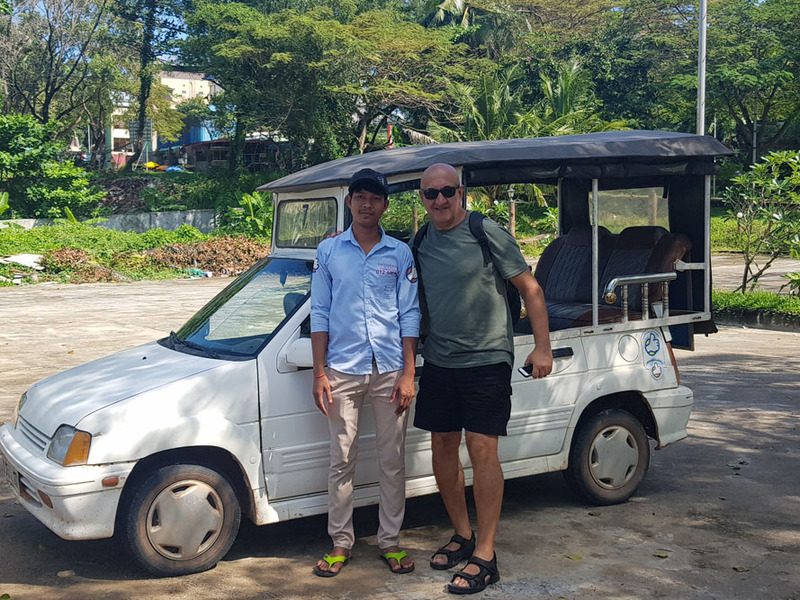 What’s the best way to get to Sihanoukville? It's warm enough to visit year round however the heavy rains that fall between July and October make many of the unpaved roads pretty horrid. On most days the temperatures range from 30-32 most days. We visited in November and the weather was perfect. The best way to travel to this southern city depends on your budget. 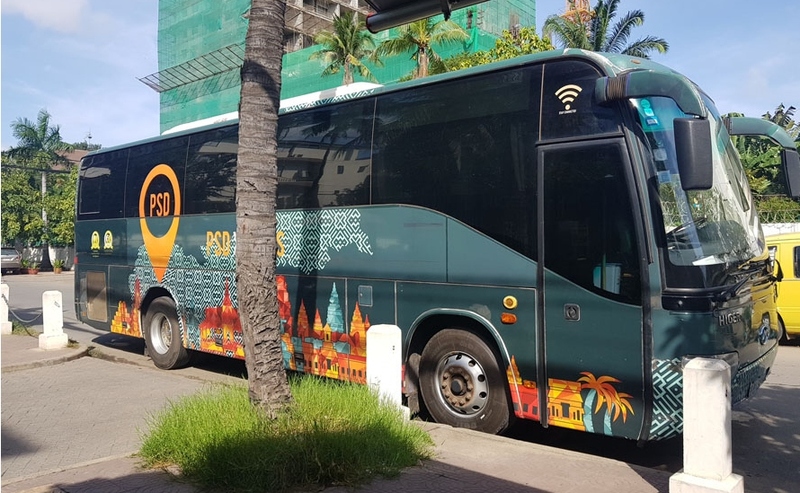 You can travel from Phnom Penh by bus for as little as $12. There are a bunch of operators with the main difference between them being the number of stops and level of comfort. The PSD bus looked like a good choice. Most companies go via Kampot. We used this bus company from Phnom Penh to Siem Reap. In the last 12 months, a passenger train services has commenced from Phnom Penh to Sihanoukville via Kampot. We were keen to try it even though it takes on average 7 hours, which is much longer than the other options. The train only runs a few days a week and sadly it did not work out for us. Check out the Man in Seat 61 for more details on this service. There is also some really useful information on this blog post by Nomadic Notes. If you are on a tight schedule there is an international airport 18km from the centre of town. There are several flights daily from both Phnom Penh and Siem Reap. You can also fly directly from Kuala Lumpur, Hong Kong and Ho Chi Min City. We would love to return one day and would probably fly directly next time. However, this time we decided on a private car and driver. We felt the price was reasonable, $50-60 from Siem Reap or Phnom Penh for the 4-5 hour trip seemed to be the going rate. It is a good idea to use a driver your hotel or other contact recommends. The roads are a little scary so I suggest you bring a book or something to distract you. Our driver spoke perfect English which allowed us to learn a lot about the history and culture of the country on the long drive. 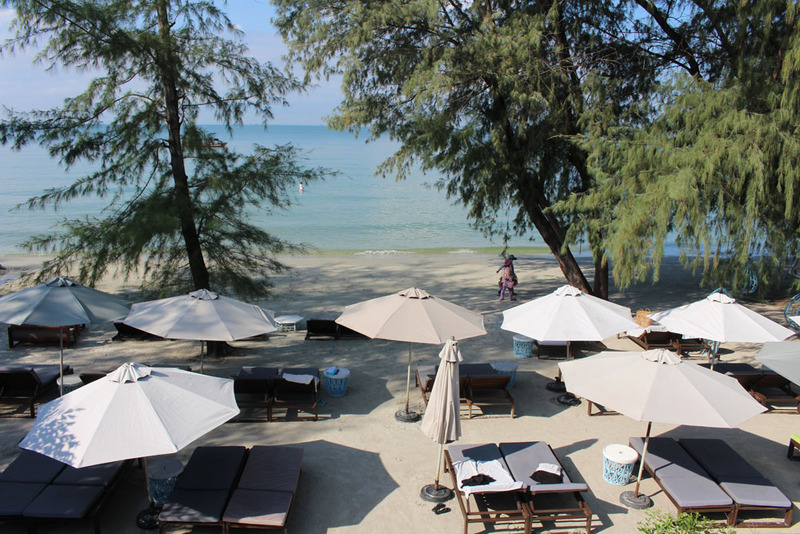 There are 6 main beach areas in Sihanoukville and we found deciding where to stay a tough decision. We finally settled on Otres 2, so on one of our days in town we decided to visit all the beach areas so we could see if we had made the best choice. Victory Beach is closest to the port and popular with budget travellers for the cheap accommodation nearby. There are plenty of spots to eat nearby and it is close to the main town and train station. The beach itself was almost gone (tide?) but there were lots of lovely trees providing shade. We really just made a quick stop here and did not find any reason to stay longer. I can't imagine any reason to stay here other than price. At about 1.3km long this beach is named for the Independence Hotel which is at the northern end of the beach. I liked the look of this hotel. 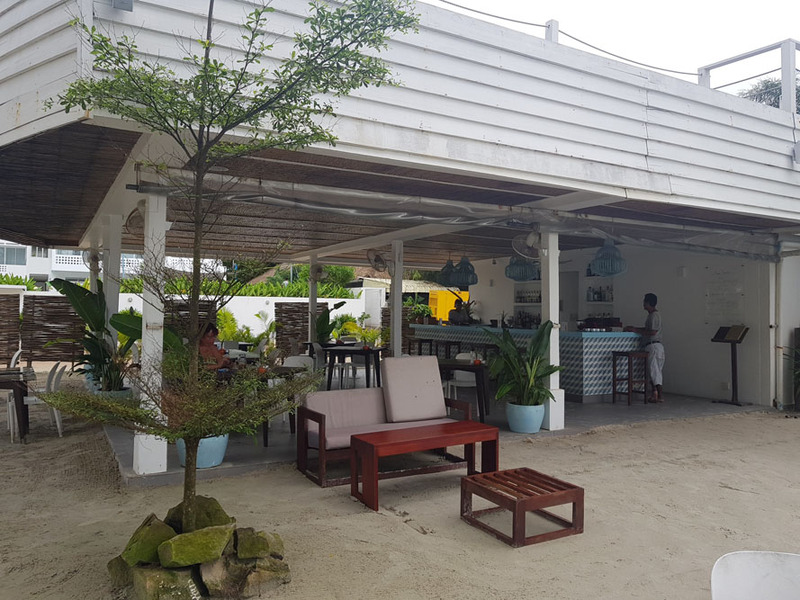 It reminded me of some of the locally designed properties we had seen in Kep. If you are looking for a luxury property in the area this would be worth considering. Unlike some of the beaches further along this is a public beach. As we rounded the corner from Victory Beach we were pretty horrified by the amount of development taking place. Luxury apartments and Chinese owned casinos beginning to pop up everywhere. Our driver explained that the Chinese developers are building large hotels for their countrymen to visit and chartering flights in and out of the area to bring foreign workers and guests. Small hotels are being bought to house the labourers and hospitality staff. He said little money from this development is making it into the local community which is causing economic and social problems with the locals being very resentful of the Chinese. Sokha Beach is one of the prettiest beaches in the area. 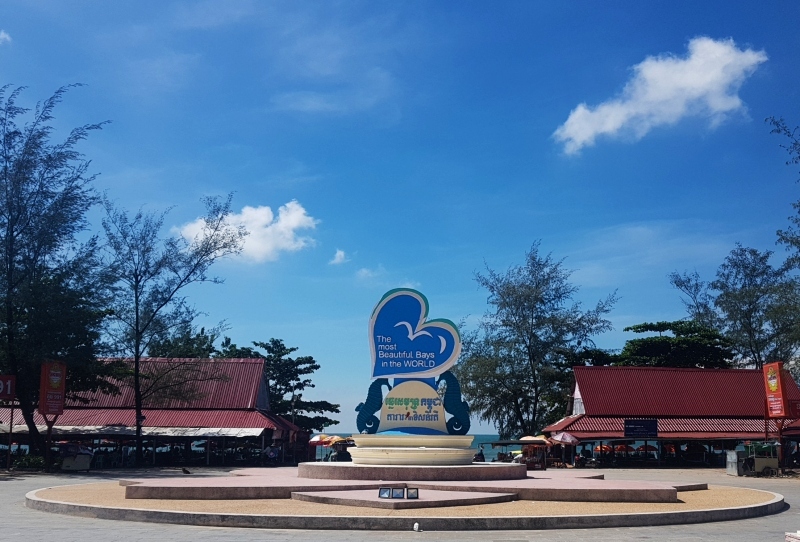 The 1.5km beach is generally pretty quiet and only the eastern end is open to the public with the rest being for the exclusive us of the guests of Sokha Beach Resort. You can use the beach with the guests as long as you purchase some food and drinks. Next up you come to the long stretch of sand that is officially Ochheuteal Beach however the northern end of the beach near the jetty where the boats head off to the islands is called Serendipity Beach. Most famous for cheap backpacker bars and the jetty to the islands this half a kilometre of beach was apparently it was given its name by an American who opened a bar here in 2001. Serendipity Beach is home to shops, bars and food stalls aimed at foreigners. The prices are a little higher than further down Ochheuteal but by western standards, they are still mighty cheap. This beach is party central and can get a bit rough as the night goes on (and the beers go down). Ochheuteal Beach covers the next 3.2km. It is a tree-lined beach and the shade makes it a good place to escape the heat of the day. On the road back from the beach there are lots of mid-priced hotels. Once you walk south away from the car park the beach becomes much less busy and you can nab a spot for all to yourself. Finally, we come to Otres Beach, the area we chose and the place most popular with western visitors. 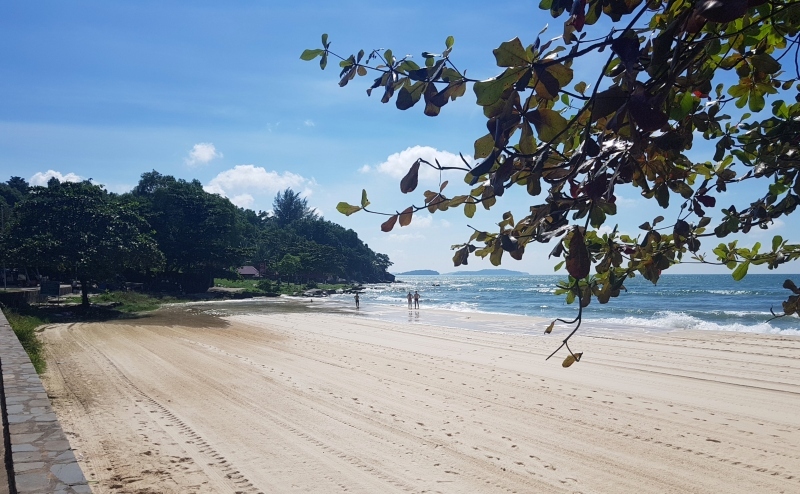 This 4.6km long stretch of sand is divided into 3 areas, Otres 1, Long Beach and Otres 2 Long beach is a large stretch of vacant land that apparently once housed beach bars and cheap accommodation. This has removed several years ago. It now lies vacant but I don’t imagine it will stay that way for long. There is construction everywhere here, some of it looks great but I imagine is a few years' time it will be quite overdeveloped. We choose Otres 2 Beach located right at the end of Otres beach. We were happy with the decision to stay outside of town as we were wanted to relax rather than explore. There is enough here to keep you busy and at least a dozen places to eat within walking distance. Tip: There is a laundry a few minutes’ walk away from the resorts that charges $2 a kg for washing and a little convenience store on the road at the entry to the resort that had snacks and drinks and even a deck of cards. The section of beach known as Otres 2 is lined with boutique hotels. 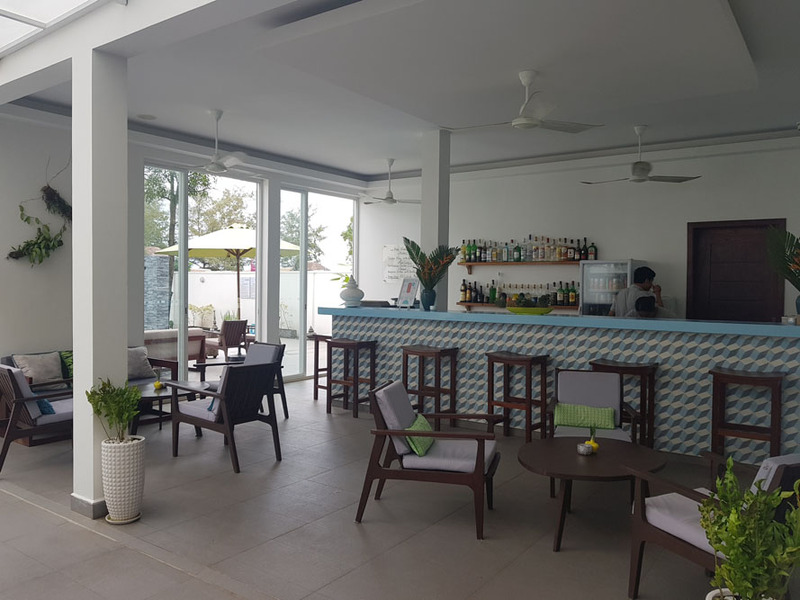 So once you have decided to stay in Sihanoukville then it's time to start looking at hotels. There are plenty of good options but we think we hit the jackpot with our choice Naia Resort which we have described below. My main advice is to stick to the smaller hotels at this end. We toured all the hotels surrounding ours and share our views below. We spent 4 days relaxing days at the Naia Resort and could have easily stayed longer. 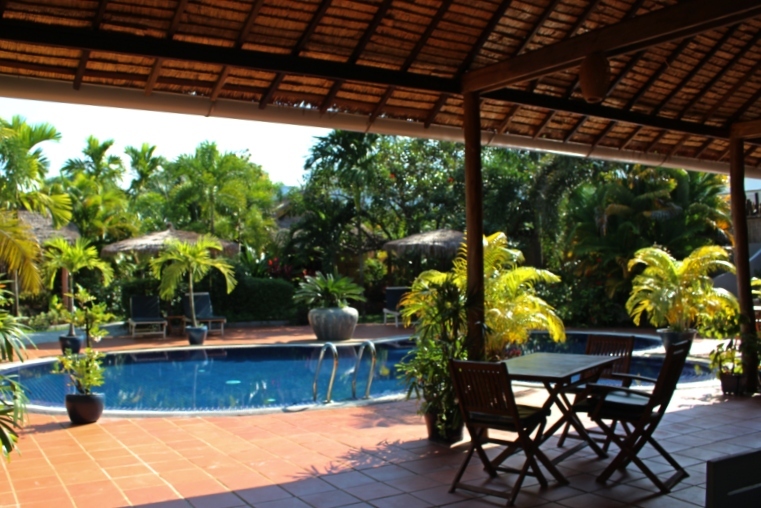 The resort is a 32 room boutique property that is a 20 min tuk-tuk ride (8km) from the centre of Sihanoukville. We loved everything about our time here from the large well-furnished rooms to the clean facilities and very friendly and helpful staff. From the moment we arrived, we felt like we had made the right decision. It was a really comfortable place to be. We booked the ocean view terrace. It was a large room with the most comfortable bed of our 4 week trip. The air-conditioning and internet was 5 star too. We really enjoyed having a terrace to rest on and made good use of it over our stay. There were lots of little extras like beach shoes (slides) and a handy cane beach bag to carry your stuff to and from the sand. Like many resorts at this end of the beach, Naia has the main accommodation and facilities separated from the beach bar and waterfront by a small local road (you could hardly call it a road really more like a track). We spent much of our day lounging at the beach bar and enjoyed chatting with the staff there. For a change there seemed to be plenty of sun lounges around, we never had to look for one, and the staff were there helping to move umbrellas as soon as the sun changes position. I think they were worried about my lily white skin! The cocktails were fantastic and there were lots of great juice options. They made a mean espresso too which was much appreciated by Mr Expert. We would stay here again in a heartbeat. There were several other resorts we liked the look of along this stretch of the beach. The properties were all along the waterfront to the south of our resort. They all had similar facilities, beach bars, pools and good locations. I would happily stay in any of these hotels. Tamu is even smaller with just 15 rooms. The pool looks small in photos but given the size of the hotel it’s fine. 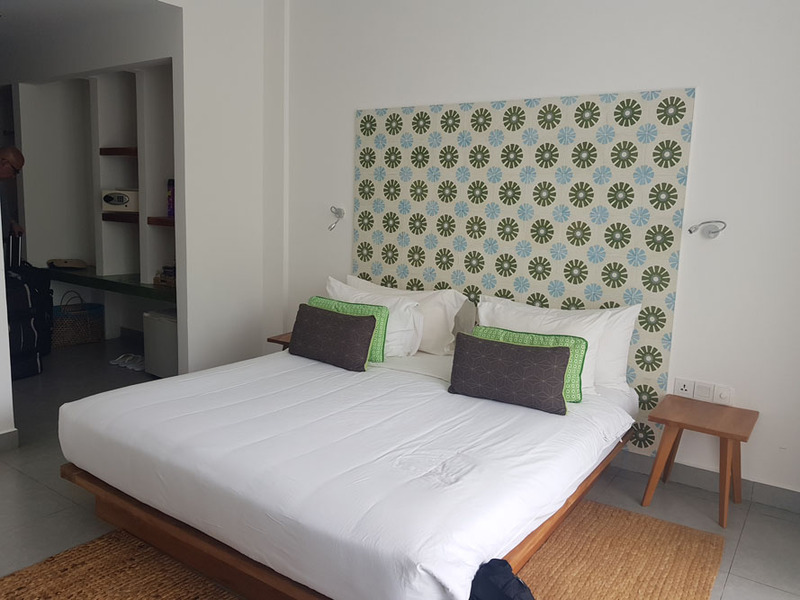 The rooms are large with modern furnishings and concrete floors. We visited the bar one evening for drinks and enjoyed it. The food looked good but we already had plans so did not get to sample it. Check out Tripadvisor for more details. If you are on a tight budget and don’t mind sleep in very basic facilities check out. These 10 bungalows share the same beach and sunsets for only $30-40 a night. They are rustic but share all the benefits of the location that the more upmarket ones nearby. Take a look at the reviews and see what you think. 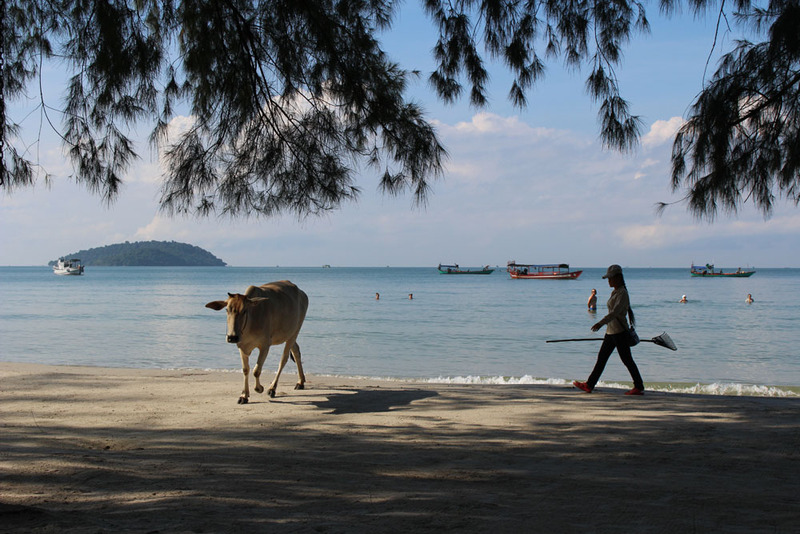 Do you have any questions about visiting Sihanoukville? Ask us below or head over to our FB page for a quick answer.